The Laundry – It’s quite possibly the least favourite room in your house, am I right?! I’ll admit, mine does get neglected – quite. a. lot! I tend to throw my clothes in the washer, hit the start button and exit as quickly as I can. When I’m putting away the pet food, or washing products, I open a cupboard, toss the things, shut the cupboard door and exit as quickly as I can! Do you see the pattern … I’m always getting out of that room – as quickly as I can! It’s a hard room to get excited about, but I had to try. 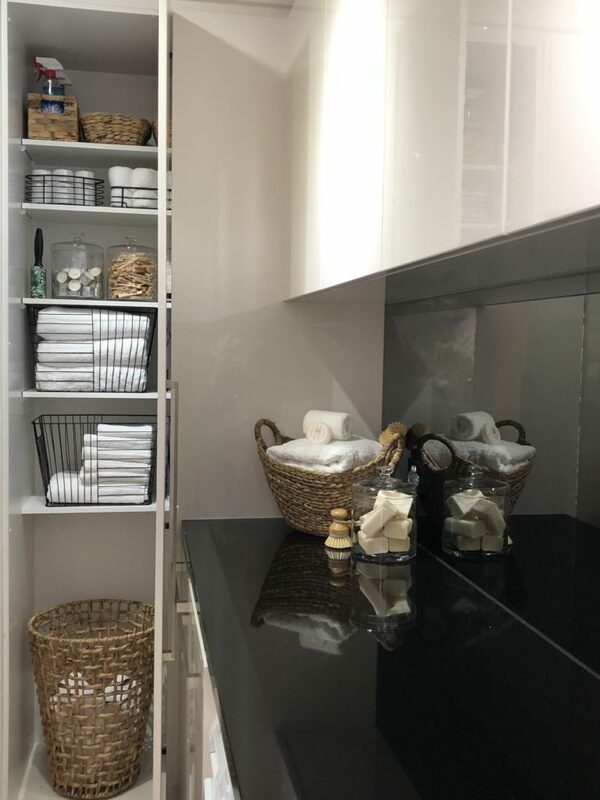 My life is so hectic, I need my home to look good, but more importantly, I need ‘work’ areas like the Kitchen and Laundry, to be functional – so last week I set about changing how I feel about my laundry and I succeeded! Not only do I love it now, but Instagram loved it as well! I’ll go through each cupboard with you and show you what I did. 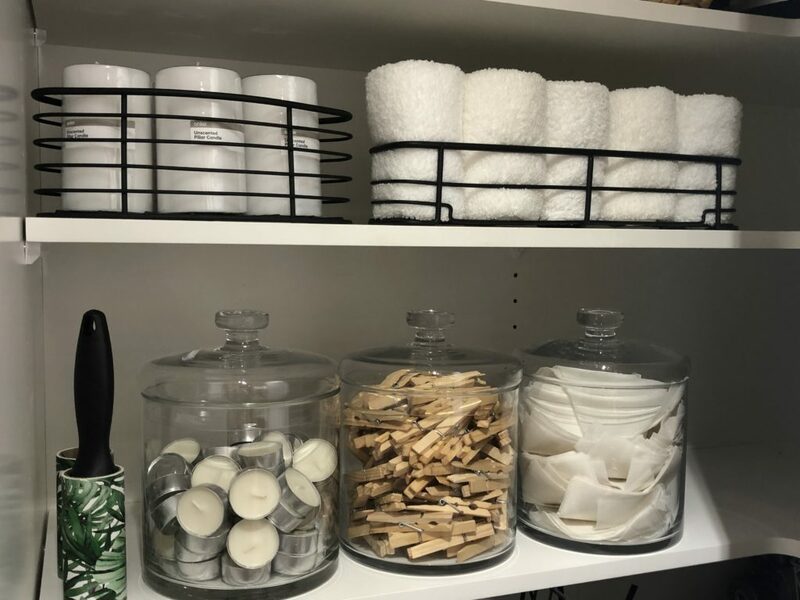 This is the tall/broom closet which has quite a high top shelf so I’ve stored some excess cleaning products up there in the Small Rectangular Baskets – $3.50 each. 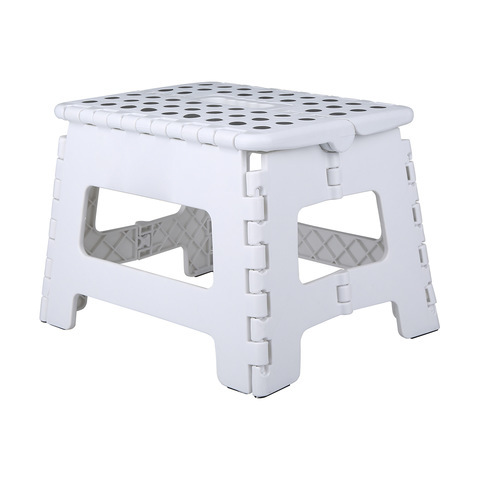 This is the brilliant Step Stool – $5 that I have (somewhere) in most rooms of my home – makes reaching those high places so much easier! 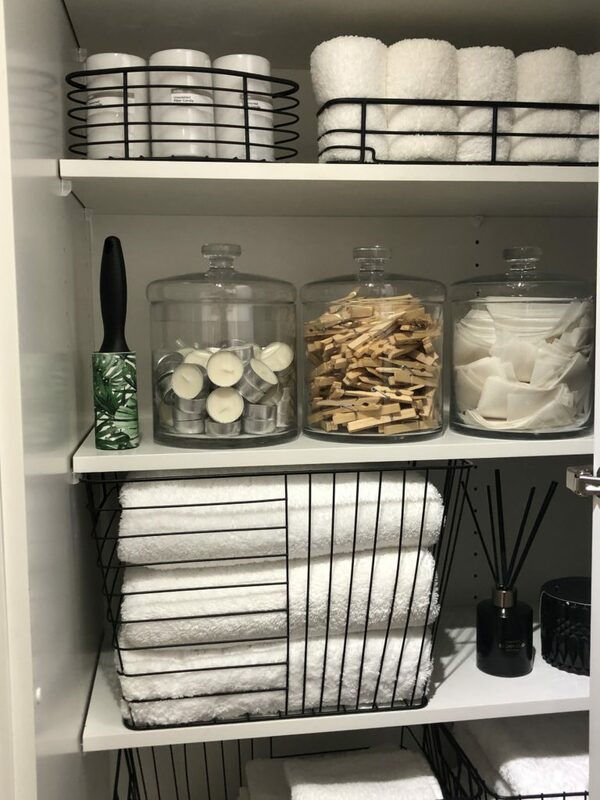 Under the baskets I’ve used the Suction Corner Caddy – $5 to store my pillar candles and the Suction Rectangular Rack – $5 – (both in the Bathroom Section) to store my white face cloths. Next shelf down, I’ve used the Straight Glass Jar – $8 each to store my tea light candles, pegs and dryer sheets. 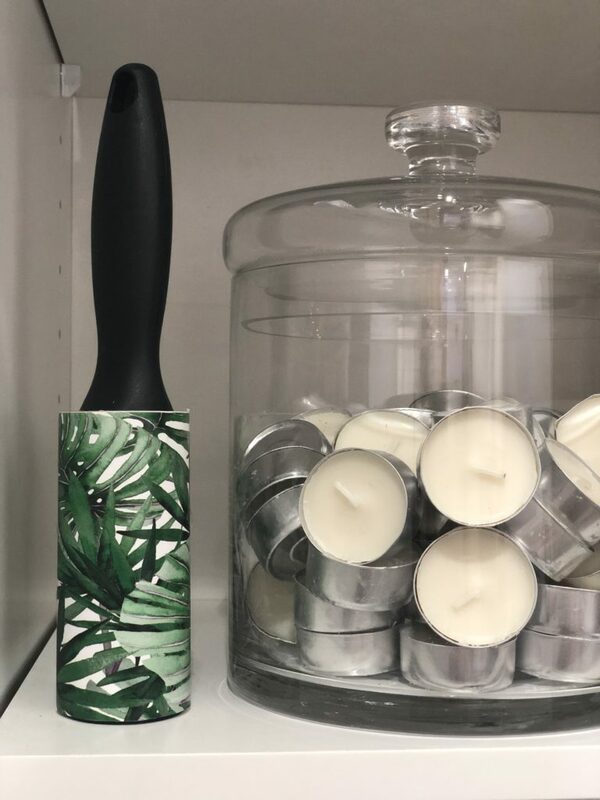 Also make sure to look out for the Palm Leaf Lint Roller in the Laundry section for a nice twist on the boring white rollers! 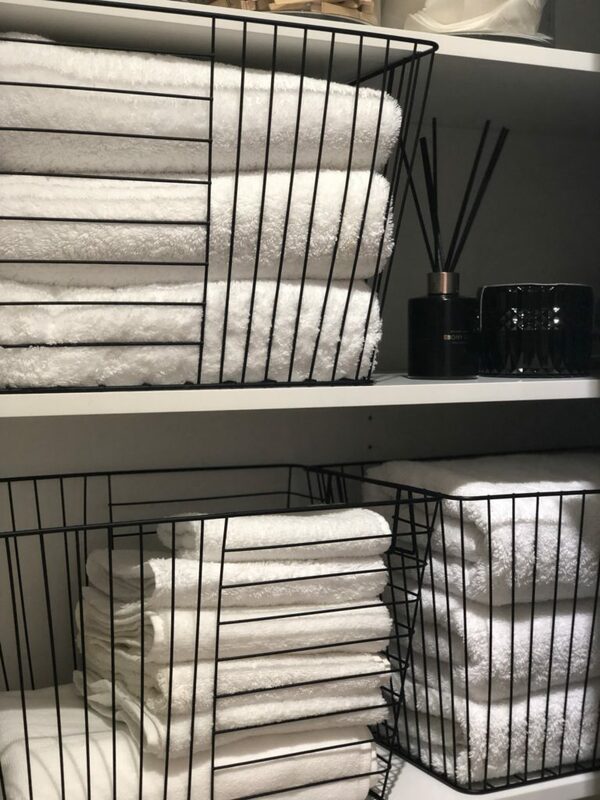 I like to keep my Pool Towels in the Laundry – and they store perfectly in the Black Rectangular Wire Baskets – $9 each. 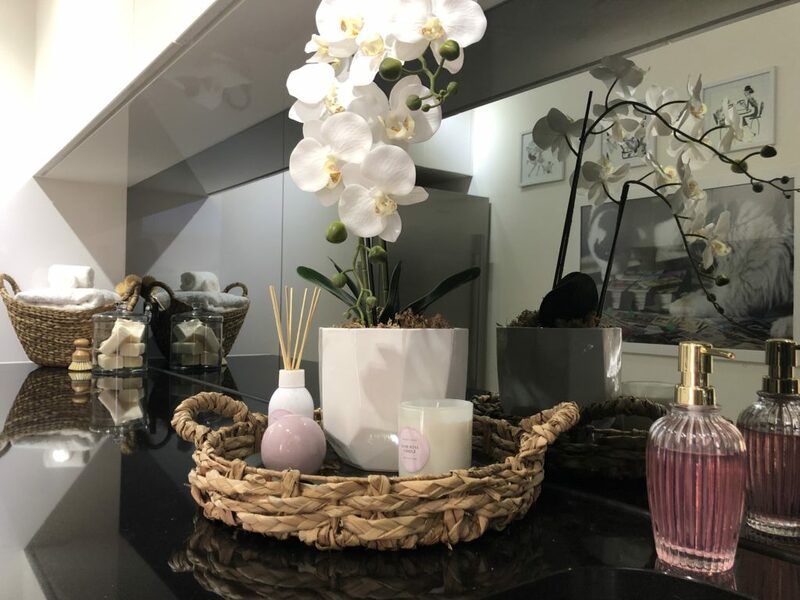 I also keep the Ebony Oud Reed Diffuser – $9 – in the cupboard … it smells amazing! 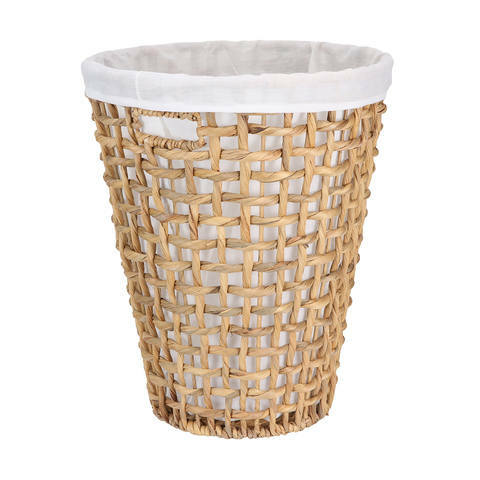 And finally I’ve chosen the Open Weave Laundry Basket – $29 as the place to put the wet pool towels! Here’s a quick video clip of the cupboard …. If you’d like to continue reading, you’ll find the other cupboards here …. And the benchtop styling here. I hope you got some inspiration from this post – If you did, don’t forget to use the #kmartstyling hashtag in your social media pics so all our followers can see it as well!